Shipping Weight : 1.87 lbs. A-96768 ImpactX™ T27 Torx® 2″ Power Bit, 2/pk A-96877 ImpactX™ #1 Phillips 6″ Power Bit A-96338 1" Deep Well Impact Socket, 1/2" Drive 784203-1 #2 Phillips Double Ended, 2-5/8" A-96372 14 Pc. 1/2" Drive Deep Well Impact Socket Set A-97025 ImpactX™ 1/4″ x 2″ Socket Adapter 784218-A #3 Square Recess Insert Bit A-98893 ImpactX™ #3 Square Recess 1″ Insert Bit, 50/pk, Bulk A-97330-10 ImpactX™ #2 Square Recess 1″ Insert Bit, 10 x 25/pk, Display A-97374 ImpactX™ #2 Square Recess 2″ Power Bit, 100/pk, Jar A-97302-10 ImpactX™ #2 Phillips 1″ Insert Bit, 10 x 25/pk, Display A-96702 ImpactX™ #2 Square Recess 2″ Power Bit, 2/pk A-97689 ImpactX™ 3 Pc. 2-9/16″ Magnetic Nut Driver Set 784305-A #2 Phillips Power Bit, 3-1/2" 784611-A #2 Square Recess Power Bit, 6" A-96665 ImpactX™ #2 Phillips 2″ Power Bit, 5/pk 6844 Autofeed Screwdriver A-97695 ImpactX™ 3 Pc. 6″ Magnetic Nut Driver Set 784226-A Torx Insert Bit, T40 A-97639 ImpactX™ 4 Pc. 1-3/4″ Magnetic Nut Driver Set A-97673 ImpactX™ 3 Pc. 2″ Socket Adapter Set A-96849 ImpactX™ #1 Square Recess 3-1/2″ Power Bit A-96578 ImpactX™ T25 Torx® 1″ Insert Bit, 2/pk 152483-1 1/4" Nose Piece A-96506 ImpactX™ #1 Square Recess 1″ Insert Bit, 2/pk A-97324 ImpactX™ #2 Phillips 1″ Insert Bit, 200/pk, Jar 784312-A-10 #2 Mak-Bite Pro Phillips Insert Bit, 1", 10/pk A-96746 ImpactX™ T20 Torx® 2″ Power Bit, 2/pk A-97667 ImpactX™ 3/8″ x 1-3/4″ Magnetic Nut Driver, 3/pk A-96512 ImpactX™ #2 Square Recess 1″ Insert Bit, 2/pk A-96908 ImpactX™ #2 Square Recess 6″ Power Bit A-97651 ImpactX™ 5/16″ x 1-3/4″ Magnetic Nut Driver, 3/pk 785516-A 1/4" Square Socket Adapter, Hex Drive A-97047 ImpactX™ 1/4″ x 12″ Socket Adapter 784212-0A-2 #1 Phillips Insert Bit, 2/pk A-97081 ImpactX™ 4-3/4″ Finder/Driver™ A-96718 ImpactX™ #3 Square Recess 2″ Power Bit, 2/pk A-96497 ImpactX™ #3 Phillips 1″ Insert Bit, 50/pk, Bulk A-97405-10 ImpactX™ #2 Square Recess 2″ Power Bit, 10 x 15/pk, Display 784200-A-A 4 Pc. Double Ended Bit Set A-97178 ImpactX™ 5/16″ x 2-9/16″ Magnetic Nut Driver, 10/pk, Bulk 452947-8 Bit Holder 784203-1-2 #2 Phillips Double Ended , 2-5/8", 2/pk A-96285 11/16" Deep Well Impact Socket, 1/2" Drive A-96534 ImpactX™ #3 Square Recess 1″ Insert Bit, 2/pk A-97645 ImpactX™ 1/4″ x 1-3/4″ Magnetic Nut Driver, 3/pk A-97221 ImpactX™ 3/8″ x 2-9/16″ Magnetic Nut Driver, 10/pk, Bulk 322120-3 Power Bit Locator A-96811 ImpactX™ #1 Phillips 3-1/2″ Power Bit 784308-A #2 Phillips Power Bit, 6" A-98837 ImpactX™ #2 Phillips Drywall 1″ Insert Bit, 2/pk A-96827 ImpactX™ #2 Phillips 3-1/2″ Power Bit A-97265 ImpactX™ 3 Pc. 1-3/4″ Magnetic Nut Driver Set 122450-0 Locator Assembly A-97368 ImpactX™ #2 Phillips 2″ Power Bit, 100/pk, Jar 784807-9 2-3/8" Magnetic Bit Holder A-96986 ImpactX™ 2-3/8″ One Piece Magnetic Bit Holder, 10/pk, Bulk 784216-A #1 Square Recess Insert Bit A-97396 ImpactX™ 4-3/4″ Finder/Driver™, 25/pk, Jar A-96637 ImpactX™ #10 Slotted 1″ Insert Bit, 2/pk 784211-B #2 Phillips Insert Bit, 1", 10/pk A-96992 ImpactX™ 3″ One Piece Magnetic Insert Bit Holder 450967-6 5/16" Locator, FS2500 784312-A-250 #2 Mak-Bite Pro PH Insert Bit 1" 250/pk Cookie Jar A-96964 ImpactX™ 12″ Magnetic Insert Bit Holder A-96291 3/4" Deep Well Impact Socket, 1/2" Drive A-96344 1-1/16" Deep Well Impact Socket, 1/2" Drive 784805-3 7/16" Magnetic Nutsetter, 2-5/8" A-97190 ImpactX™ 3/8″ x 1-3/4″ Magnetic Nut Driver A-96590 ImpactX™ T30 Torx® 1″ Insert Bit, 2/pk A-97346 ImpactX™ #2 Square Recess 1″ Insert Bit, 200/pk, Jar A-96752 ImpactX™ T25 Torx® 2″ Power Bit, 2/pk 784647-5 #2 (7-5/32") Square Power Bit 784211-2A #2 Phillips Insert Bit, 10/pk 784313-A-100 #2 Mak-Bite Drywall Phillips Insert Bit, 100/pk 194500-1 Extension Handle A-97097 ImpactX™ 1/4″ x 1-3/4″ Magnetic Nut Driver 784212-0A #1 Phillips Insert Bit, 10/pk A-97215 ImpactX™ 3/8″ x 2-9/16″ Magnetic Nut Driver A-98843-10 ImpactX™ #2 Phillips Drywall 1″ Insert Bit,10x25/pk,Display A-96643 ImpactX™ #1 Phillips 2″ Power Bit, 2/pk A-96780 ImpactX™ T40 Torx® 2″ Power Bit, 2/pk 784202-3 #2 Phillips Double Ended Bit 784233-2 #2 Phillips Power Bit A-96257 1/2" Deep Well Impact Socket, 1/2" Drive A-96469 ImpactX™ #2 Phillips 1″ Insert Bit, 2/pk A-96481 ImpactX™ #3 Phillips 1″ Insert Bit, 2/pk A-96914 ImpactX™ #2 Phillips 12″ Power Bit 784314-A #3 Mak-Bite Professional Phillips Insert Bit, 1" A-96659 ImpactX™ #2 Phillips 2" Power Bit, 2/pk 784224-A Torx Insert Bit, T27 A-96724 ImpactX™ T10 Torx® 2″ Power Bit, 2/pk A-96263 9/16" Deep Well Impact Socket, 1/2" Drive A-96796 ImpactX™ #8 Slotted 2″ Power Bit, 2/pk A-98821 ImpactX™ #1 Phillips 1″ Insert Bit, 50/pk, Bulk 784214-0A #2 Phillips Power Bit, 1-7/8" 784315-A #1 Mak-Bite Professional Phillips Power Bit, 2" A-97134 ImpactX™ 1/4″ x 6″ Magnetic Nut Driver A-96942 ImpactX™ 3″ Magnetic Insert Bit Holder 784207-3 #2 Phillips Double Ended, 5-7/8" A-97184 ImpactX™ 5/16″ x 6″ Magnetic Nut Driver 784238-2 #2 Phillips Power Bit A-96366 1-1/4" Deep Well Impact Socket, 1/2" Drive A-97053 ImpactX™ 3/8″ x 2″ Socket Adapter 784309-A #3 Phillips Power Bit, 6" A-97112 ImpactX™ 1/4″ x 2-9/16″ Magnetic Nut Driver 784202-3-2 #2 Phillips Double Ended Bit,1-3/4", 2/pk A-96528 ImpactX™ #2 Square Recess 1″ Insert Bit, 50/pk, Bulk 785517-A 3/8" Square Socket Adapter, Hex Drive 784222-A Torx Insert Bit, T20 A-98887 ImpactX™ #1 Square Recess 1″ Insert Bit, 50/pk, Bulk 784221-A Torx Insert Bit, T15 A-96958 ImpactX™ 6″ Magnetic Insert Bit Holder 784225-A Torx Insert Bit, T30 A-96453 ImpactX™ #1 Phillips 1″ Insert Bit, 2/pk 784610-A #1 Square Recess Bit, 6" A-96322 15/16" Deep Well Impact Socket, 1/2" Drive 194633-2 Drywall Nose Adapter 784803-7 1/4" Magnetic Nutsetter, 2-5/8" 784317-A #3 Mak-Bite Professional Phillips Power Bit, 2" A-96805 ImpactX™ #10 Slotted 2″ Power Bit, 2/pk A-96833 ImpactX™ #3 Phillips 3-1/2″ Power Bit 784306-A #3 Phillips Power Bit, 3-1/2" 784223-A Torx Insert Bit, T25 784820-A 5/16" Magnetic Nutsetter, 1-3/4" A-97209 ImpactX™ 3/8″ x 1-3/4″ Magnetic Nut Driver, 10/pk, Bulk 784236-A #2 Phillips Power Bit 784217-A #2 Square Recess Insert Bit A-97156 ImpactX™ 5/16″ x 1-3/4″ Magnetic Nut Driver, 10/pk, Bulk A-98859 ImpactX™ #2 Phillips Drywall 1″ Insert Bit, 50/pk, Bulk 784821-A 3/8" Magnetic Nutsetter, 1-3/4" A-96615 ImpactX™ 7 Pc. Torx® 1″ Insert Bit Set A-97237 ImpactX™ 3/8″ x 6″ Magnetic Nut Driver A-97380 ImpactX™ 3″ Finder/Driver™, 25/pk, Jar A-97069 ImpactX™ 1/2″ x 2″ Socket Adapter A-97106 ImpactX™ 1/4″ x 1-3/4″ Magnetic Nut Driver, 10/pk, Bulk 784220-A Torx Insert Bit, T10 A-97075 ImpactX™ 3″ Finder/Driver™ A-96970 ImpactX™ 2-3/8″ One Piece Magnetic Insert Bit Holder 784819-A 1/4" Magnetic Nutsetter, 1-3/4" 784609-A #3 Square Recess Power Bit, 2-3/4" A-98326 ImpactX™ 35 Pc. 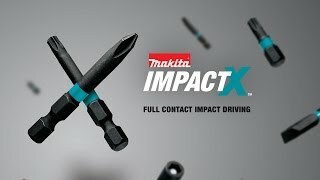 Driver Bit Set A-96671-10 ImpactX™ #2 Phillips 2″ Power Bit, 10 x 15/pk, Display A-96774 ImpactX™ T30 Torx® 2″ Power Bit, 2/pk A-97140 ImpactX™ 5/16″ x 1-3/4″ Magnetic Nut Driver A-96936 ImpactX™ 2-3/8″ Magnetic Insert Bit Holder, 10/pk, Bulk 197024-6 Nose Cone Assembly A-96279 5/8" Deep Well Impact Socket, 1/2" Drive A-98348 ImpactX™ 50 Pc. Driver Bit Set A-96861 ImpactX™ #3 Square Recess 3-1/2″ Power Bit 784608-A #2 Square Recess Power Bit, 2-3/4" A-96475 ImpactX™ #2 Phillips 1″ Insert Bit, 50/pk, Bulk 784811-A 4 Pc. Stubby Finder/Driver Set A-96730 ImpactX™ T15 Torx® 2″ Power Bit, 2/pk A-97243 ImpactX™ 7/16″ x 1-3/4″ Magnetic Nut Driver A-96562 ImpactX™ T20 Torx® 1″ Insert Bit, 2/pk 784810-A 4 Pc. Finder/Driver Set 784645-9 #2 Square Power Bit, 6-3/8" A-96899 ImpactX™ #3 Phillips 6″ Power Bit 784605-A #2 Square Recess Bit, 6834 158876-0 Nose Cone Piece, FS4200 A-97259 ImpactX™ 7/16″ x 2-9/16″ Magnetic Nut Driver 784312-A #2 Mak-Bite Professional Phillips Insert Bit, 1" A-96350 1-1/8" Deep Well Impact Socket, 1/2" Drive 784801-1 3" Magnetic Bit Holder A-98865 ImpactX™ #2 Phillips Drywall 1″ Insert Bit, 200/pk, Jar A-96584 ImpactX™ T27 Torx® 1″ Insert Bit, 2/pk A-96540 ImpactX™ T10 Torx® 1″ Insert Bit, 2/pk A-97003 ImpactX™ 6″ One Piece Magnetic Insert Bit Holder 784802-9 3/8" Magnetic Nutsetter, 2-5/8" 784312-A-50 #2 Mak-Bite Pro Phillips Insert Bit, 1", 50/pk 784316-A #2 Mak-Bite Professional Phillips Power Bit, 2" A-96883 ImpactX™ #2 Phillips 6″ Power Bit A-96855 ImpactX™ #2 Square Recess 3-1/2″ Power Bit 152822-5 5/16" Locator 6952 1/4" Impact Driver A-96920 ImpactX™ 2-3/8″ Magnetic Insert Bit Holder 152821-7 1/4" Locator A-96609 ImpactX™ T40 Torx® 1″ Insert Bit, 2/pk A-96241 7/16" Deep Well Impact Socket, 1/2" Drive A-97352 ImpactX™ T25 Torx® 1″ Insert Bit, 25/pk 151726-8 Nose Cone Piece 784812-6 3" Magnetic Bit Holder A-97019 ImpactX™ 12″ One Piece Magnetic Insert Bit Holder A-96300 13/16" Deep Well Impact Socket, 1/2" Drive 784215-0A #3 Phillips Power Bit, 1-7/8" 784211-A-250 #2 Phillips Insert Bit, 250/pk, Cookie Jar 784607-A #1 Square Recess Power Bit, 2-3/4" A-96556 ImpactX™ T15 Torx® 1″ Insert Bit, 2/pk A-97031 ImpactX™ 1/4″ x 6″ Socket Adapter 784804-5 5/16" Magnetic Nutsetter, 2-5/8" A-97128 ImpactX™ 1/4″ x 2-9/16″ Magnetic Nut Driver, 10/pk, Bulk A-96316 7/8" Deep Well Impact Socket, 1/2" Drive A-96687 ImpactX™ #3 Phillips 2″ Power Bit, 2/pk A-96693 ImpactX™ #1 Square Recess 2″ Power Bit, 2/pk A-96621 ImpactX™ #8 Slotted 1″ Insert Bit, 2/pk A-97162 ImpactX™ 5/16″ x 2-9/16″ Magnetic Nut Driver A-96235 3/8" Deep Well Impact Socket, 1/2" Drive 784316-A-100 #2 Mak-Bite Pro PH Power Bit, 2" 100/pk Cookie Jar 784819-A-A 3 Pc. Magnetic Nutsetter Set, 1/4", 5/16", 3/8"